When a need arose for a new Knights of Columbus council on Detroit’s west side in June 1930, the site of Gilbert and Otis Streets was selected. John W. Woznack was in charge of the organization, as he had had a prominent role in organizing the George F. Monaghan and Cardinal Mercier Councils. Approximately 75 candidates were initiated into the charter class on Sunday, December 21, 1930, at an initiation ceremony at the Detroit Council #305 Hall on Woodward Avenue. More than 500 attended the banquet that followed, the majority being from St. Hedwig Parish. Because of that parish’s strong presence and prominence in the community and the great number of parishioners’ involvement in the Knights, the council named itself St. Hedwig Council after St. Hedwig, Queen of Poland. The first meeting of the council was held on January 5, 1931, in St. Hedwig Parish’s hall. The first officers of St. Hedwig Council were Grand Knight Joseph W. Woznack, founder; Joseph J. Squires, Deputy Grand Knight; John F. Mika, Chancellor; Raymond Majka, Recording Secretary; Alfred J. Stolinski, Advocate; Leon Budziak, Treasurer; Leon Topolewski, Financial Secretary; Frank A. Plagens, Warden; Francis Woznack, Lecturer; James J. Sharpe, Inside Guard; Cuthbert Regan and Stanley Hammernik, Outside Guards; and Jacob Pawlowski, Bernard Trybus, and Steve Hammernik, Trustees. The council formed a band and a basketball team and initiated other activities which attracted new members. The newly formed council was formerly presented a charter on Tuesday, January 26, 1932. Grand Knight Woznack was held in such high esteem that he was reelected for five consecutive terms. When he retired in June 1936, his son, John A. Woznack, succeeded him. In 1937, the name of the council was changed from St. Hedwig to Holy Cross Council, and the Rt. Rev. Msgr. Nagy, pastor of Holy Cross Parish, became chaplain. 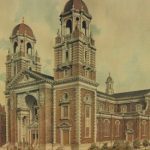 The council’s tenth anniversary was celebrated with a banquet at the west side Dom Polski in December 1940, at which time Peter R. Madaj was Grand Knight and Rev. Robert Kowalewski, pastor of St. John Parish, was chaplain. 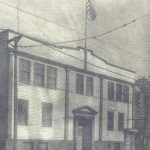 In 1947, one of the most historic events in the council’s history occurred when it purchased a building at 3401 Gilbert as its headquarters, and a Building Association was formed. Past Grand Knight Joseph Bielawski served as its president. Peter R. Madaj was serving as Grand Knight at this time. Frank Sielski succeeded Grand Knight Madaj in 1948. Rev. Callitus Winiarz, OFM Conv., pastor of St. Hedwig Parish, became chaplain. The first Boysville donations were made, New Year’s Eve parties were initiated, and activities planned to pay off various debts. 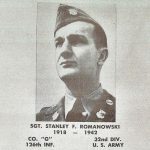 Subsequent Grand Knights were Chester Andrews, Stanley Gatny, and Andrew Slowik. Over the succeeding years, the council grew and enjoyed many achievements, including instituting the “Star Council Award,” the “Century Award,” and the “Certificate of Honor,” for attaining membership and insurance enrollment quotas; holding the first Boysville Night party; paying off the mortgage on the council building; publishing The Cross, the council’s newspaper; instituting annual Halloween parties; and establishing the council’s Six Point Program, the Columbian Squires, and the Tekawitha Circle #924 of the Daughters of Isabella. 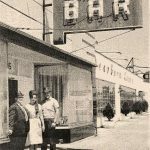 In 1955, the council opened its Club Bar. That same year, the council sponsored a displaced Catholic Dutch family of five for entry into the U.S. and helped find them a home in Detroit and work for the father. In 1956, the council’s twenty-fifth year of existence, it renovated its chambers. In February 1958, council members began visiting veterans at the Veterans Administration Hospital in Dearborn on Sundays to assist patients with attendance at mass in the hospital chapel. During that time, Walter Stoklosa was Grand Knight. Rev. Ferdinand Kintop, OFM Conv., was chaplain. When Rev. Kintop was transferred to Chicago, Rev. Francis Banaszak, pastor of St. Andrew Parish, became chaplain. A “New Building Fund” was initiated with the resurrection of weekly social parties, and Annual Mystery Bowling Nights began in 1959. Then, in 1960, the council purchased ten lots on Larkins Street near Michigan Avenue with the goal of building council chambers and a new home for the members. Martin Kula was selected to succeed Past Grand Knight Stoklosa in September 1961, and during his tenure the Council Credit Union was established. Groundbreaking ceremonies were held for the new council chambers on May 18, 1962, and on October 21 the cornerstone was laid. 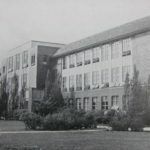 The building was dedicated on May 19, 1963. As a result, many new members were procured. From 1963 to 1965, the membership continued to grow under Grand Knights Bronislaus Drewniak and Jerome Wrobleski, respectively. In 1965, Danny Thomas was a special guest of the council in a fundraiser for the battle against leukemia. In June 1968, under the leadership of Grand Knight Walter Wojnarowski, the first Annual Nun’s Night took place. By 1969, when Grand Knight James Soltesz was in leadership, the council’s membership exceeded 900 Catholic men. A major popular event was a living rosary held on the grounds of Our Lady Queen of Angels Catholic Church. In 1970, Past Grand Knight Walter Stoklosa returned to the office of Grand Knight. Rev. Francis Kozlowski, pastor of St. Andrew Parish, was chaplain, replacing council chaplain Rev. Cajetan Tarnowski. In June 1971, under the leadership of Grand Knight Frank Mireles, Birthday and Anniversary dances for the membership were initiated and The Cross was published monthly. 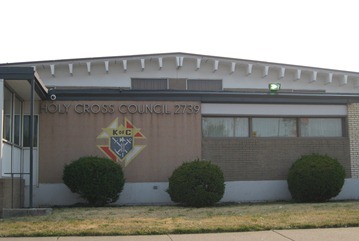 Holy Cross Council also had been designated to organize its own Fourth Degree Assembly. The council was presented its charter on January 31, 1973. In 1973, Holy Cross Council co-sponsored a Polk-A-Thon to raise money for Muscular Dystrophy. Joseph Dziewit, who also was instrumental in organizing Wednesday Afternoon Bingo parties, was Grand Knight at that time. Past Grand Knight Walter Stoklosa died in February 1975. He was fondly remembered for his great achievements on behalf of the council. Grand Knight Stoklosa was the longest-serving Grand Knight of the council, having served from 1954 to 1961, and he was remembered as one of the most popular and hardest-working members of the council. Under his leadership, Sunday Polka Nights were initiated. Richard Klein served as Grand Knight from July 1975 to June 1977. A Las Vegas Night, an Old Fashioned Shower “1940”-style, reinstatement of the Knight of the Month Award, the organization of the Holy Cross Retirees Club, and a benefit dance to raise money for a seven-year-old girl in need of open heart surgery were a few of the activities for which Grand Knight Richard Klein was responsible. Under his leadership, the building’s upper floor received a new dance floor and stage, the sports program won the State Class B Basketball Championship, and the council held a dinner dance in the council hall in celebration of its forty-fifth anniversary. The council’s remodeling project began in 1977 under Grand Knight Gary Kolbicz, beginning with the council lounge. The Past Grand Knights Committee was formed and the Family of the Month Award was initiated. Darryl J. Troczynski, the youngest Grand Knight in the council’s history was installed in July 1979. In that year, the sports program claimed the State Class B Championships in both baseball and basketball, and the Children’s Christmas Party was reactivated. The council was awarded the “Columbian Award” for its general program, and an award for the highest percent increase over previous years’ total in the 5th Annual Tootsie Roll Drive for the Mentally Retarded was presented to the council. The Knights of Columbus – Holy Cross Council No. 2739 continues to this day to serve and to grow in acts of charity. The council’s hall at 4381 Larkins, south of Michigan Avenue between Livernois and Central, is a popular place for wedding receptions and polka dances.